A fantastical reimagining of the American West which draws its influence from steampunk, the American western tradition, and magical realism. To the west lies a vast, uncharted world, inhabited only by the legends of the immortal and powerful Hill People, who live at one with the earth and its elements. Liv Alverhyusen, a doctor of the new science of psychology, travels to the edge of the made world to a spiritually protected mental institution in order to study the minds of those broken by the Gun and the Line. In its rooms lies an old general of the Red Republic, a man whose shattered mind just may hold the secret to stopping the Gun and the Line. And either side will do anything to understand how. Felix Gilman's The Half-Made World is his attempt at a Steampunk/Weird West novel, which seems to be the next trend developing in Speculative Fiction. 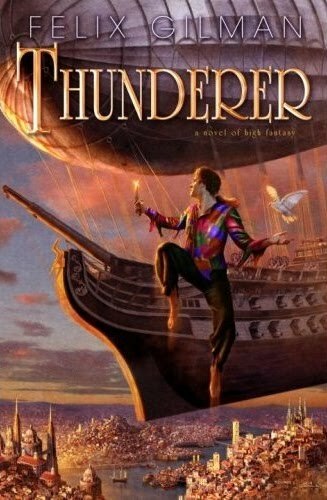 The cover is a tad sedate when compared to other steampunk covers, but I quite like the da Vinci-like illustration and in this case the simplicity is working. 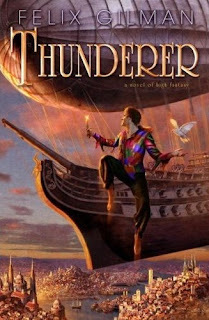 It is a far cry and improvement from what Spectra did for Gilman's debut Thunderer a couple years back, which was a bit off the mark in my estimation. 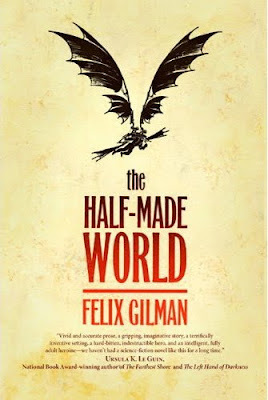 The Half-Made World certainly seems promising though and will be released this October from Tor. Half-Made World sounds interesting with the earthly connection and steampunk mixed. Thanks for the cover and blurb. I may have to keep an eye out for this one to look into it.